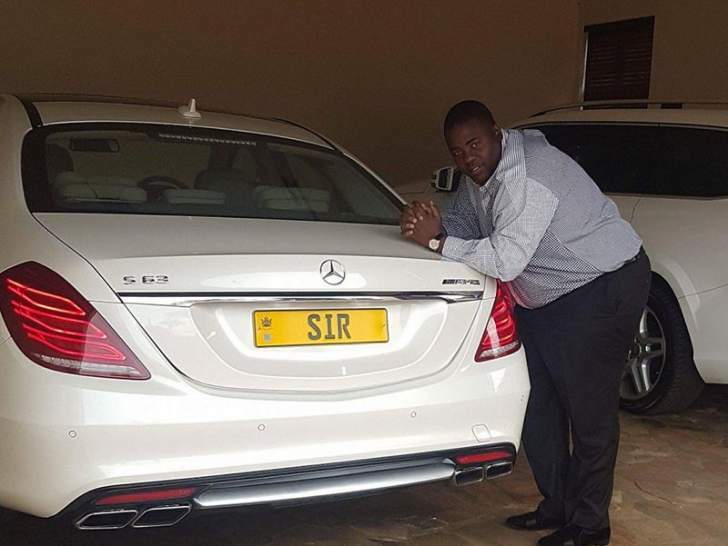 THE Minister of Energy and Power Development, Dr Joram Gumbo, has said Intratek Zimbabwe Private Limited, a company owned by flamboyant Harare businessman, Mr Wicknell Chivayo, which was paid $5 million for the Gwanda Solar project, may have been overpaid. Speaking in an interview during a visit to the site yesterday, Dr Gumbo said his Ministry was going to submit a proposal to Government on how best the project could be implemented. Intratek Zimbabwe Private Limited was awarded the tender in 2015 and paid $5 million by the Zimbabwe Power Company to build the 100 megawatt Gwanda solar power plant. After receiving the money without a bank guarantee, no meaningful development has taken place at the site. "I'm here at the Gwanda solar project site on a familiarisation tour. There has been a lot of talk surrounding this project which was awarded to Intratek with a total amount of $5 million being paid to the company for pre-commencement works. "I need to have a clear understanding of what really transpired as I understand that the matter is now before the courts. My interest is for the project to take off because one way or the other Government has to make a decision for the project to take off. I have requested a detailed report on the project from the Zimbabwe Power Company (ZPC). After receiving the report I will sit down with my team and come up with recommendations which we will submit to Government on the way forward," Dr Gumbo said. He expressed disappointment as no work has been done at the site of the project despite the $5 million payment that was made to Intratek. Dr Gumbo said the solar project was a crucial initiative that would not only benefit the Matabeleland region but other areas as well. He said the project had been divided into three phases and the first one was supposed to have been completed by now. Dr Gumbo said the work that had been reportedly done at the site so far such as clearing of the land was sub standard. "I'm told that $5 million was paid for preliminary works but I'm questioning whether it (Intratek) wasn't overpaid. I say so because there is a similar project in Mutoko where $2,4 million was spent on a solar project and it's already producing power. It also has proper infrastructure compared to this bush which hasn't been properly cleared. "This is a big project that is supposed to produce 100 megawatts. People have been waiting for this project since 2015 as it one of the biggest projects we will have in Matabeleland region. We will evaluate the project and the required time frames and come up with a plan. We want to see this project taking off," he said. A ZPC official on the ground who preferred anonymity said some of the works which should have been completed during the precommencement stage comprised clearing of 200 hectares of land, fencing, construction of three temporary structures, drilling of a borehole, establishment of a quarry, tarring of 2,4 kilometres of road and a water and sewer system. He said so far half of the site had been fenced, 70 hectares of the land had been cleared and two temporary structures built. 260 hectares of land was aside for the project.